It's always tough for a program to lose an ace like right-hander Tim Brennan, but Saint Joseph's head coach Fritz Hamburg believes his club still has the talent to make some noise in an increasingly competitive Atlantic 10 Conference. Saint Joseph's finished 21-27 last season and finished 10th in the Atlantic 10 with a 7-15 mark in the conference. The club last reached the postseason in 2016. "We had a tough stretch in the middle of the schedule last year that really did us in," Hamburg said. That stretch included a five-game losing streak in mid-April including a sweep at Rhode Island and another four-game skid later in the month featuring a sweep at home by Fordham. The Hawks offense this season will again be led by outfielder Charlie Concannon. The senior hit .317 last season with five home runs and 29 RBIs en route to being named to the Philadelphia Baseball Review's All-Philly team and the Philadelphia Big 5 Baseball All-Big 5 Team. "Charlie is outstanding," Hamburg said. "He's a great asset to our program, and we'll be relying heavily on him as the season moves forward." Beyond Concannon, the Hawks will rely on junior James McConnon (.288, 16 RBIs) behind the plate and sophomore outfielder Brendan Hueth (.211, 1 HR, 14 RBIs). Junior Kadar Namey is also expected to take a step forward after crushing a team-leading six homers last season, despite hitting just .195. "If guys move forward like we expect they will, this offense can score some runs," Hamburg said. The losses of Brennan and right-hander Justin Aungst leave a significant void at the top of the Hawks' starting rotation, meaning sophomore right-hander Matt Kennedy will have a chance to take on a greater role as a weekend starter. Standing 6-foot-8 and at 240-pounds, the Haddon Heights, N.J. native made nine starts last season, collecting 34 strikeouts over 44 2/3 innings while posting a 5.24 ERA. Joining Kennedy in the rotation is fellow sophomore righty Cole Stetzar. The Scranton product made ten appearances on the mound for the Hawks last season, including a pair of starts. He finished the year with a 3.60 ERA over 20 innings. "It's a young group of guys, so we'll see how things shake out," Hamburg said. "I like their makeup and think our staff has some great upside." One newcomer of note to the Hawks is freshman catcher Andrew Cossetti. The La Salle College High alumn claimed Philadelphia Catholic League First Team and Offensive Player of the Year honors as both a junior and a senior. He also was named Philadelphia Player of the Year by the Philadelphia Daily News. "He'll see plenty of action," Hamburg said. "He's a great kid and we're thrilled to have him here." Saint Joseph's opens the 2019 campaign on Friday with a doubleheader in Wilmington, N.C. where they'll face VMI and UNC-Wilmington. 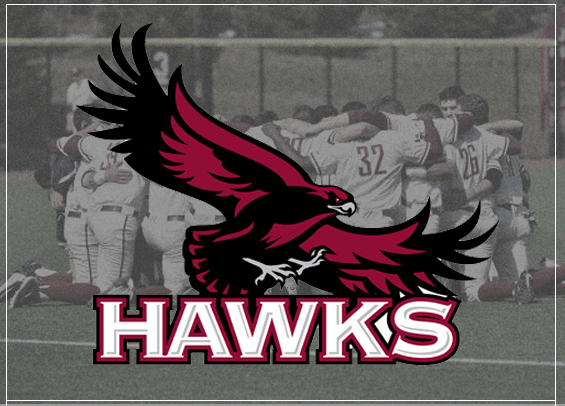 The Hawks open the home portion of their schedule on March 6th with a contest against Lehigh.